February 8, 2011 was my 5th injection using my PRP and bone marrow stem cells. In Dr. Alan Lazar’s office in Plantation, Florida his nurse Dione drew 70 cc of my blood and placed it in the SmartPrep system centrifuge, where the blood was spun down and the platelets were separated from the red blood cells and concentrated. The red blood cells were discarded and the resulting 12 cc of platelet concentrate was used for treatment. Then Dr. Lazar took some bone marrow from my left pelvic bone in order to use the stem cells. There was some pain as the bone marrow was drawn out. After the area was sufficiently sedated the doctor injected the mixture of PRP and bone marrow stem cells into both hip joints. This was all done in the doctor’s office in his sterile surgery. The next day I could move with more ease and had less hip pain. For several reasons, I had complications. I may not have drunk enough water to be hydrated. I may have brought my energy down with an overly strong acupuncture treatment for constipation. The pain killer the doctor gave me made me sick and constipated. My heart felt heavy and my blood pressure dropped too low. I took herbs to strengthen the heart muscle –dan shen–see my article. Also I took B12 and my blood pressure gradually stabilized at 108/60 which is OK for me. I felt better. But I got a tooth infection on the right side. Either a coincidence or too many sesame seeds in my bridge or an energy complication from the sudden drop in adrenal energy after the treatment. With Dr. Lazar’s OK, I took 7 days of antibiotic. I was not sure if the antibiotic would interfere with the treatment, but it is important to treat a serious infection. Antibiotics always make my hip joints hurt! either from anti-inflammatory action, diarrhea or other reasons. After that was done, I started to feel better again. One month later on March 8th I got the 6th treatment using only PRP platelet rich plasma injections in both hip joints and SI joint in my lower back. The doctor took my pulse and blood pressure before and after treatment. I rested 2 days in bed. Not moving for a couple of days greatly reduced the pain. The early pain from these injections I believe is from the injection needle itself. The injection is maybe 3 inches deep into the joint and it is hard to walk for 2 days. Then there is practically NO PAIN. I hope it will last for 6 months at least. Next time this summer I want to avoid the terrible narcotic painkiller that made me sick. Maybe I will just lay around and drink a Martini. All this was very worth it. The cost of all the injections has been similar to hip replacement surgery, but I wanted to try this. It is experimental, but I believe the body –my own blood platelets, plasma, bone marrow–can heal itself. This is the future of orthopedic medicine. If someday I am forced to have surgery, because my joints and cartilage are stronger, I can now have Birmingham hip resurfacing, less invasive and dangerous than total hip replacement. I go to Plantation, Florida to the office of Dr. Alan Lazar for stem cell injections for acute osteoarthritis. His link is in my articles at this website covering my PRP injections. The 5 injections I have had over the period of one year have helped me. I had 2 bone marrow stem cell injections and the rest PRP and some stem cells taken from fat. I can walk up the stairs, walk around with less discomfort and my MRIs show some cartilage growth from the injections. However, Each case is different and I cannot advise whether the treatments will be good for you. I certainly hope you can avoid surgery and think the injections are worth the effort, if you can afford them, because they do give some relief. Other doctors do such injections. Google PRP injections for arthritis for your area. My pain lasted over a year and the treatments have been mildly successful, spread out throughout the year, taken as soon as pain starts again. I’ve been trying to figure out if anti-platelet aggregation/anti-inflamation herbs should be avoided at this time, including herbs like turmeric, ginger, and quercitin and bromelain, etc. Your advice about temporarily stopping vitamin C to avoid counterindications was very helpful. Thank you for sharing with me and us your treatments. I do recommend PRP for knee injuries. 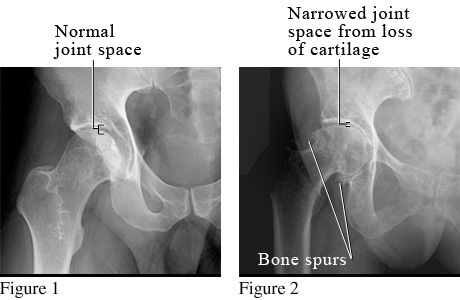 They are more certain for a good outcome than injections into the hip joints. Also less painful. The PRP injection can be done under the knee cap and go where it needs to go to do the most good. Injections into hip joint have to be precise to work well and are easily lost with walking movements. I was advised not to use Motrin or other anti-inflammatory RX because it might interfere with the shots. I very occasionally take extra strength Tylenol for arthritis but try to avoid it because it upsets the stomach. So I have been sometimes using Evening Primrose oil capsules (anti-inflammatory) and krill oil capsules to soothe sciatica. I would also recommend acupuncture to help relax muscles in hamstrings that may tense the tendon. Also hot soaking baths if that helps. As much as possible avoid cold weather and caffeine (tea, coffee, chocolate) which may also tense muscles/tendons. Do you get massage? All good luck to you for 2012. Please keep in touch. L.
I’d swear I wrote a reply to your thoughtful response, but I must have only imagined it. Great advise for post-op treatments. My hamstring tendinosis has quieted down with increased regular exercise that varies the type of hamstring interactions, as well as physical therapy, massage, and phonophoresis. I did have a PRP injection into my meniscus, and it made a giant, immediate difference in reducing pain. It mostly healed over time naturally, with physical therapy, acupuncture, etc. I am getting arthroscopic surgery to snip off a piece of the torn horn of the meniscus since it is getting in the way of the joint function. That should be interesting. I will also be checking out some of the herbs you’ve mentioned using in your own experience. Thanks again for all of your writing. Please clarify – did you have pluripotent stem cells injected to your joint or just prolotherapy? I did not have prolotherapy at all, the injection was stem cells from my tummy fat and blood platletes from my own blood.